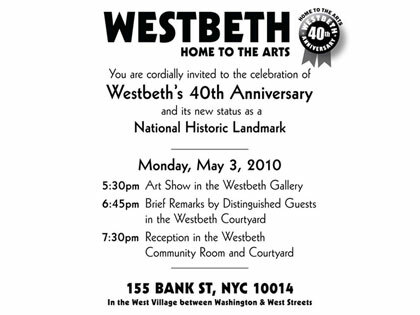 You are cordially invited to join the Westbeth Artists Housing Association in celebrating its 40th Anniversary and designation as a National Historic Landmark on Monday, May 3, 2010. 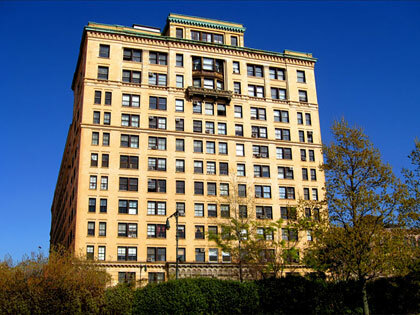 Located in the far West Village of New York City, Westbeth provides affordable living and working spaces for artists and their families. Opened in 1970, through funding provided by the National Endowment for the Arts and the J.M. Kaplan Foundation, Westbeth continues to offer affordable artists’ housing and an array of cultural activities.